Stupačky předních dveří černé EMPI (kabina vozu) pár. Výhodou stupaček je snadné nastupování a vystupování z kabiny vozu. Proto jsou začleněny mezi velmi praktické a líbivé výrobky. Bez problémů unesou dospělého člověka a jsou vybaveny protiskluzovými krytkami (vyrobeny z pryže a s logem EMPI). Montážní materiál je součástí sady. Side step front doors black EMPI pair. Bus steps for, order entry easy to make for all bus models boarding steps developed for Spijlbus both the cab and the cargo doors and the subsequent Buses only under the door. For those who think it's just an extra accessory is where you can step over better but rather intensive use is wrong. The boarding steps are very solid and do not therefore be respected, they can wear without problems the weight of an adult person, provided that the installation location (for cab doors on the bumperzijsteun and the loading / sliding door in the jacking) but in good condition is. 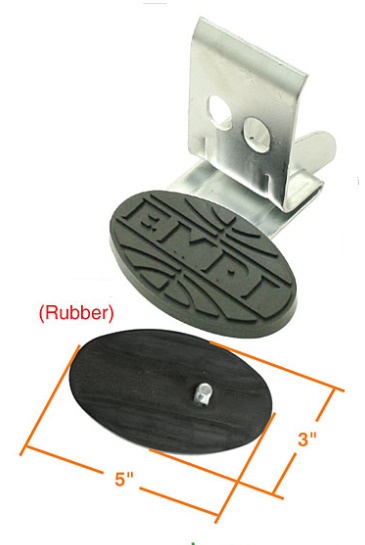 The reason for boarding the cab doors are fitted with a rubber piece with the step "EMPI" logo. The entry step under the load / sliding produced from solid aluminum anti-slip profile and the parts that come into view are polished. 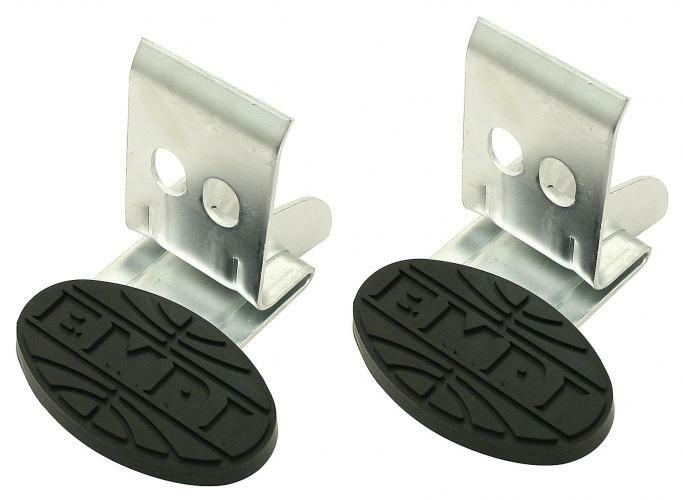 Are supplied with mounting hardware. operated step cab doors (pair) # 20236 from 1958 (chassis number 385 000) t / m 7/1967 entry step zijlaaddeuren / sliding door # 20 235 t / m 7/1979 # 70235 from 8/1979 and later (T25). Přední blatník s výztuhou komplet pravý (B-jakost). Front wing with bracket complete right (B-quality).